"Manager using Kissflow for approvals and manage vacations. " Much more order and control of all things you use it. Its a good thing that you receive a reminder every time you have a unfinished task, it some time could feel like annoying but at the end its importante to know you have a task to be done. There is a lot of flexibility you can have to flow approvals eaven if a task has more than one approvals and a sign in it of each participant the app is flexible and you can do it, so in this way you can have enough support or needed support of the complete flow. There are some missing reports to have an easier access to the information. Mobile App is not that good. When you have an urgency and want to do something in the mobile app it would take a long long time for you to do it, some times there are thing that you could spend like 5 or 10 minutes in a computer it could take more than double if you do it in the app. Please improve it, its so important to have a functional app. Some times the app doesnt load as fast as it should and it takes a very long time to make all the approvals i have to make, i dont know if its because the page has to much information so loading is slow or if it could be improved because some tasks take a long time. Its a very good tool to have a lot of order and the correct approval flows in the company. Vacations, a lot of control. Approvals, respect of the flow and order. "When you load your apps, they disappear from the panel, then you have to reload." Kissflow automates approval system with ease, no need for paper. It also sends you csv file when you extract and it makes it more easy to analyze with Microsoft Excel. For us analysts, it is great to have csv files ready for analysis. It cuts the time for you to copy-paste your user's answers to come up with a meaningful analysis. It makes it easier to monitor answers by our users with csv and to track their use of the app itself. Additionally, you can also create more apps with different uses for human resources, supply chain management, legal, operations management, etc. And you can connect them all to create a mother app that your company can use without developing skills needed or to hire a programmer to create an app for you. Of course, it is not perfect but for a renewable energy company, not using paper for processing is a major thing -- saving trees and the environment, also cutting down costs on admin tools such as printing, scanning and copying of paper just to make the process going. You can also look it up on your phone when you are away from the office. Convenience is the best thing I like in Kissflow. Please make it more faster when retrieving apps. IT allows to simplify processes that require a lot of manual intervention automatically. Nothing really. Seems to do the job well. Understand the way your process flow works. It's easy to get into a trap of over complicating the way it works just to do a simple task. We had a number of revisions done to multiple kissflows as we were blinded by all the possible automation we could do that we ended up bloating our processes just for the sake of saving a couple of seconds here and there. If you can fully provide a step by step "efficient" flow that covers all the essential steps it should tackle then you will be fine. The support website and help chat bar is also good to get familiar with. Efficiency issues across different business areas. Previously there were a lot of manual work (emails, calls, chat messages) to get processes approved and processed in a timely manner. Now it's simply enter in the form and it moves to the next stage effortlessly. It's when I encountered a network error and wasn't be able to fixed some issues in my workflow. And sometimes the list that I am using in a form design gets changed because someone's modified it and the workflow of the process gets interrupted due to that changes. Is there a way that it couldn't be accessed by anyone except the one who created it? I highly recommended this product as it helps a lot. Easy to use, real time monitoring and makes processes simple and smart. Please share more videos and guides on how to properly use the Kissflow. Keep on improving the designs. Converting manual approval into online and paperless form. Saves time and money for the cost of paper. It helps on achieving timelines. "KissFlow turned our business around"
We have been using KissFlow to help streamline our business processes for two years now. Its had an incredible effect on our business and helped turn it from 'struggling' to an industry leader. Our company manages affordable housing and on a daily basis we work with some of the more difficult government bureaucracies that exist. We built KF apps to diagram every process that we have in the company and it has helped us to streamline our processes. One of the best features is that KF apps standardize every process across the company and we can track every task down immediately. But the single greatest feature is that when we recognize that we can improve our process, we simple program the change and hit 'enter' and in a second the entire company is operating on the new standard. Its intuitive enough that we seldom even send updated directions to our staff for how to use the new process. There is also a great live Help staff available one click away that can help you work through any issues and to discover new techniques. You don't need to be a computer programmer to make this system work and it is very flexible. There is not much to dislike about KissFlow. A large part of KF's approach seems to be evolving organically from customer input. This is a good thing, but sometimes means there are small glitches in the software where a function doesn't work right. The software is a bit clunky looking for the average user used to the slick interfaces of a smartphone. But I would trade form for function anyday. Start with simple apps. But over time you will build the skills necessary to create more complex apps. Don't be afraid to reach out their help staff to see if there is a way to make an app work the way you are envisioning it. Our business is very file intensive. At any one point we have a thousand files working through one of our KF apps. We can locate the holdup on a file anywhere in the country in seconds. We can also search the database by field for any of the 12,000 files we have already completed. This software has helped us analyze and understand our own processes. We have a saying that. "if you can't put the process in KissFlow, then it isn't a real process". Extremely user-friendly. Prior to Kissflow, Requests were submitted via emails, Excel and Google sheets. It wasn't organized and confusing to end-users. Kissflow fixed that. Customer service is top notch. I've contacted Kissflow a dozen times and they had a solution to pretty much all of issues. And their primary support tool is chat so it's much more convenient than calling them as I can submit screenshots. Few months ago we mentioned Kissflow to our sister companies in UK and Germany on how much Kissflow made IT's lives less of a headache. Sometimes system can be slow at responding. But not too often. It seems like Kissflow responds better with browsers other than chrome. I'm not a fan of contacting support regardless of company I'm dealing with. So I wish they had more support videos and extensive knowledge portals. They have a few videos but I couldn't find much on functions which is a must if you're trying to make your workflow perfect. Software is extremely user-friendly. For end-users I believe that falls under top 3 musts. Company was using Excel/Google Sheets to keep track of expense reports, business trips, Sales requests, etc. With Kissflow I was able to simplify the workflow for all of them. Prior to Kissflow managers had to approve through email which wasn't proficient, and more often than not the request will get missed. Also, the ability to filter the requests and output the report was important as well. Now managers don't have to go into each excel sheet, set filters and save the settings each time. "Fast, non complicated BPM workflow implementations"
The concept of goint through 4 stages to make a complete automated workflow, using a buit app. Really accelerates the design, build and deploy of a process. Takes very little time to understand how to build a process, and the support provided is excellent to dispell any gray areas you might have. Also the fact that the forms you build in the app can be also displayed in mobile is a plus. You can even download an app and login with the authorized login and you will have your inbox complete to work with your routed pending tasks in your own mobile phone!. You can also connect data from and to your process vía webhooks, and you can use KISSFLOW along with Zapier for example if you need to sync the information produced by your process to another application, for example a CRM or even to Google Sheets or other external services you might need to work with your automated process. It needs a bit more translation work to spanish languaje, looking forward to work with them in this regard. Good, fast and reliable solution for could workflow automation. Low cost platform, although you must check that translations are enough to get you going. Spanish need a little more work to be completed. Citizens services, recruitment process for new employees. Those processes need to attend thousands of inquiries to get solved fast with a traceable path. "Oh, what a relief it is!" I love that everything is streamlined on the platform, and all the essentials are built in, instead of having to create them yourself. Things like sending notifications at the end of a workflow process and allowing required fields to be used, even if that field is hidden in a current form without causing an error is such a relief. KiSSFLOW uses common sense to the max, and allows the creator to focus on the necessary pieces to create an App. The platform and interface could me more fluid, but it's designed to work for 95% of users. It would be nice to be able create links to house certain App types together instead of a list of all available, but it still works for the most part. #1 is that KiSSFLOW is cloud-based, and with our company structure (core offices with many field locations) that allows ease of access that we just didn't have with our old workflow platform. Secondly, an App can be created in KiSSFLOW in about 1/3 of the time it used to take in that old platform. Although you can create applications with little or no code, Kissflow allows you to enhance your fields and workflows with custom code. This makes the product a A+. Very few platform offered this feature. With Kissflow, you have the best of both worlds. I wish the mobile app offers the ability to work on tasks offline. Spend your time learning this product as opposed to evaluating others. Kissflow does it all. Support team will help you throughout the learning curve and capitalize on all of it's features. We view Kissflow as a "hand holding" tool to ensure that our processes are followed by the entire team. As a small business owner managing multiple stores, KISSFLOW allowed me to have more productive meetings with my managers and focus my time and energy on the real issues at hand. Although our processes and tools were there before, we simply did not have a platform to "glue" things together. Best of all, the visibility offer via it's platform and reporting of all tasks at hand is second to none. "A good tool to make super Workflows"
The option of configuring workflows in both series and parallel. Email triggers facility on completion of tasks, etc. I can't see the tasks I did prior than 3 months in my Participated tab. Also at times inside the administrator tab, the sync option does not work. This creates a huge issue for us if we have to sync some of the groups from our G Suite database. Many times the workflow changes we make are not getting saved and when we are returning back to continue the edit, the older changes are no more available, the autosave functionality needs to be improved I believe. Default facility of reassigning the forms should be available on task level which should be configurable while setting up the tasks. If we delete any of the fields, the whole data linked to that field gets deleted, this should not be like this. We should be able to mark the fields as archieved instead of deleting so that any data required can be fetched at a later time as well. It is a good platform if the requirement is to create workflows. It provides a lot of functionality to customize the workflows as per the user's need. I have 20+ customized workflows built up for my company, triggering more than 5000 cases across different apps. The workflow helps in organizing the items and tracking them in a very easy manner. The Reports section gives the facility of customizing the report as per individual/team's need is also a good feature. "Kissflow - the software I am using as a recruitment coordinator for 3 months now." it is transparent and user friendly, I like to use it a lot, the best tracker software I used so far. It really easy to find what I am looking for and allows me to save the candidates' contact details so I don't have to search in my e-mails. It is available even from home, from my laptop as well. Recently new fields appeared and hopefully it will make our live easier, to leave more relevant comments about why are we out of the SLA. No one really complained about it, at least not as much about other softwares I used in the past! Keep it up. Easy to keep track of the KPIs. too many fields. The dates, and am/pm options are jumping sometimes. but I haven't really find downsides of using it. Sometimes it gets a bit slow, but maybe the problem is on our side. For first sight, it is not as easy to find what I find where, but it only takes a few days to get used to it. I know that the system is not that "clever", e.g. if I click on a wrong button, it can delete the history of 10 000 candidates. And I had to ask for permission to able to edit my closed requests. Recruitment solution, interview scheduling, keeping track of candidates' appointments. Easy to follow up with the candidates, and with the process. "Great support and very easy to use!" I really like how easy that system is to use, moreover support is very kind and always solve all my problems fast. I really recommend Kissflow to implement in your company, to automate some process and increase your work time. I dislike some features on mobile app that should have, like a search on mobile app. Sometimes I really spend to much time search by hand, some task. Hi Kissflow, let's put a search on APP! Sure, I truly recommend Kissflow as a alternative to implement process automatization and optimization. First of all, we had to define all our flow to see what really are important for our process, after we do that, Kissflow helps us to improve that process by automatization lot of task. I really won a lot of time and organization by using Kissflow with BPM. Kissflow is flexible. I can pick from one of their templates or create a custom process from scratch. Customer service is quick and friendly. The user experience and interface is clean, crisp, and easy to use. There are some features that I need which kissflow simply cannot do yet. They have been great about making updates and improvements, but I have had trouble with some formulas in my forms as well as linkages between Master docs and forms. I use kissflow for purchasing. Employees in my company submit requests for items to be purchased along with information on how to purchase them. I can then review the requests and make those purchases, with alerts for the requester stating that their item is on the way. "We have 5 month experience with KiSSFLOW"
Our company is a subsidiary of Japanese HQ and has a circulation approval system. We did it with excel file but we had some problems. KiSSFLOW makes these problems over. "A simple but powerfull Workflow Solution"
Workflows are incredibly easy to build and deploy and continued workflow maintenance and development is well thought out, as well. I think the card/flowchart design method works really well for this sort of development and is very approachable for the non-developer. As a programmer I would have liked to have seen some more advanced options for actions but, honestly, I am reaching for something to criticize. The webbhooks and API probably give you all of the advanced functionality that is needed. The barrier to entry is so low there aren't many reasons not to give it a try. We used Kissflow to replace a workflow engine that was included as part of our ERP system but that was not very flexible or user friendly. The UI experience is a useful tool for all in the company, The users can find and read all the information without problems. Another important aspect is the API that Kissflow has, It feature have permitted to our company integrate and automate some process using different tools as zapier and mailchimp. Now the company receives and admin all the admissions process using Kissflow. The interactions with different areas inside the company have been possible using Kissflow. We are very happy with the product. I would like to integrate Kissflow with our customer manager Intercom. Have the entire information synchronize could be useful. KissFlow is capable of simplifying complex processes to make them easier for follow ups and analysis. it has rich fields but above all I like email notifications and public forms. I dislike the account administration system. how one account may have many super admins with the same access to the system and how you can separate users according to the process. also one more thing is how I can't forward one process to another account without losing any data. "Great tool for tracking and maintaining documentation for expense approvals." It's great value, it's simple and easy to use interface, it does what it needs to do and was simple to implement and integrate into our workflow. The ability to attach documents, allow approvers to add comments and just the overall flow of the program is great.The user interface looks great and navigation around it is simple, those are always pros. The admin tools are also good, with ease of adding and removing individuals from the system. It's lack of integration with expensify or ability to do things that expensify can. As a result we double up and run both systems. Otherwise there is not a whole lot of things I dislike about the system. I say go for it. I believe there are many other workflow SaaS solutions out there but Kissflow really hits it home with their Keep it Short and Simple methodology. No issues from using the system, dealing with the vendor has been pain and stress free. So in conclusion I really have nothing bad to say about their system and would recommend anyone who wants a reliable method of tracing expenses for higher control on spending and accountability to give KissFlow a shot. Proper approval routing and traceable records for any expenses run through our company. It adds a certain level of accountability for controlling spending. 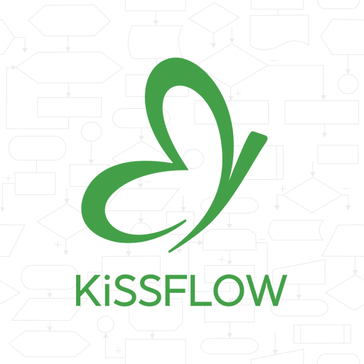 "Kissflow goes with your flow"
Kissflow works best with customizing your own workflow processes, from simple processes of a small company to complex calculations that involve many users of an enterprise. It helps professionalize a company, making communication between colleagues, superiors or subordinates, much clearer and more clear cut. Everything is tracked, from what gets filed, to how people respond; even to the results that need to be reported. The best parts; for one; everything is customized by me, when I just happen to be an above-average excel user without any programming knowhow. And two; your business processes are kept in tact, which makes it easy for a company to orient new employees, handle delegations for people on leave, or even transfer know how or processes for people on the exit. Overall, kissflow goes with your flow. I dislike the complications involved with trouble shooting programming errors and the limitations of app functions and features that allow collaborative inputs, and finally, its lack to include modern features such as ID / fingerprint input or even GPS location inputs. These would make the functionalities more comprehensive in solving modern day problems of any business. I am solving problems that involve validation, transparency, structured communication and automation of simple manual calculations that eat up a lot of labor time, and are prone to human error. "The app is flexible and the support team in kissflow are very supportive." It's flexibility to automate processes of our company and it is easy to collaborate and share to our team.The user permission is flexible and the reports can be customized according to your needs. The flexibility to import and export data in excel for more in depth analysis is very helpful. Easy to create and delete application especially for those processes that needs to be tested first before going live. If you want to automate your processes for easy collaboration with your team, have a secure and flexible database of your data, and can access data anywhere, Kissflow is the software that you need. Supplier and Material Database. It's benefits is that we can have a database of our supplier and materials and can collaborate with other teams to update it.We are also planning to use it in our internal process like HR, Accounting, Project Management and task monitoring for our team. "Very versatile and integratable solution for business process management"
Though a little less intuitive than some of the other business process management softwares I have tried out, it was the most versatile solution we could find. We reviewed some other solutions, but they were missing branched processes and automatically starting other processes. I could use a soluton for open forms that initiate processes with a set process owner. For example, I would like to have a public form that could receive a request or an order, which would then automatically start a process and assign it to a set person or group. Also, I would like to be able to set the from field for system emalis so it could come from our organization rather than a kissflow email. Give it some time. Though sometimes rude and unhelpful, their support is usually fairly knowledgeable. They're not excellent at providing alternative solutions, but especially if you use KISSFlow with Zapier, it can be an incredibly powerful software to manage your processes. Standardization of our most common processes. It is also a useful first step when trying to automate communication and completing parts of common processes. KiSSFLOW allows users without any coding/programming experience to build complex workflows. Formulas are sometimes needed to set up conditional tasks, but the support team is very responsive, either providing the needed information through a chat or quickly getting on a call/screen share to demonstrate how to do something or how to resolve an issue. Reporting is also great, since all fields can easily be added to a report and easily sent to Excel if needed. There is not anything to really dislike. If I had to name something, I would like to have greator control of the home page view and ability to show any field and filter on any field. Ideally, the admin would be able to set up the defaults, which the user can then modify or edit to their own needs. Get the trial and build your own workflows. The trial has full functionality, and you will see how powerful it is. Implementation is currently in-process, but we see great potential to solve current work order process confusion and bring greater control to the process including visibility and analytics. Our current work order process is largely manual, so automating it and bringing visibility to all stakeholders will be a big improvement. Also, I was able to duplicate our current travel request process (currently in a different system) and build it successfully within less than 1 day even though the current system was built through coding by programmer and many hours of billable hours. A huge savings could have been realized had we gone with KiSSFLOW for this process from the beginning. "Keeping it Short and Simple!" I like how easy it is to actually build and manage the workflows. In addition, the ease of important documents and information being able to seamlessly move through our system of approvals electronically, has been a true game changer for our organization. I'd like more control on the layout of the form, to include, not only how the form is laid out, but font sizes, being able to do more with styling of the form. So, I don't like that we can't do that currently. Not having a test environment is another dislike, but the workaround helps a lot. Wonderful product. You won't be disappointed. Prior to KF, we were physically moving at least 50 forms for approvals. That meant, administrative assistants scanning the initial document and then the next admin scanning again after signatures and so forth. This so you could at least no when something was signed. Without that scan, you really had no idea where a form would be at any given time. Folks would have to call around, or walk to someone's office to find out the location and status of form, if needed. We have seen a tremendous reduction of the administrative assistants time, allowing them the ability to work on other tasks, and everyone can see where something is at any given time. Styling, appearance and included notifications. KiSSFLOW does not use static IP's limiting the ability to work with other apps to have data interact in certain environments. Change log so we can see what changes on the admin / back-end are made to the forms after they are complete. Enable static IP's for some forms to receive information from apps in secured environments. Warnings or alerts when duplicate webhooks are sent. Data reporting is tricky for some of our apps based upon the limit of fields in the report and the ability to modify what we see. We often have to export all of the data into an excel and then modify which is time consuming. Submission of forms which were otherwise tracked through email requests such as time off, access requests, ownership changes, project requests etc. Through KiSSFLOW we were able to integrate a multi-tier approval chain making status and processing smoother and quicker. "KiSSFLOW is easy to use"
Ease of use. For a non-programmer, I was able to setup unique workflows with very little help. Also, when I needed assistance, KiSSFLOW support was very helpful and responded to my requests quickly. Training materials are very clear and concise. They are written from a user's perspective. The ability to track these requests and output into a spreadsheet is another valuable feature as we use the data for future process improvement. Nothing. As an enhancement, it would be useful for our process improvement initiatives to be able to have time-stamp data at each step for each record available in an exported report. The KiSSFLOW organization truly seems to care about its customers. Each year I receive a follow-up call from the organization asking what else they might do to assist us. It is not a sales pitch but a sincere interest in how they might improve the product. "Kissflow review from Vibrant Emotional Health "
Form design, pretty easy syntax to learn and great customer service. There are no error explanations and no version controls. Definitely make sure that you train your staff. That was extremely helpful for us. Also use the trial period of the software and build at least a couple of forms to validate if that's the right product for your business. Our number one business goal was to digitize business processes like payroll change, request to fill a vacancy etc. The key benefit was that we don't give users any flexibility to 'control' the workflow so they don't get a chance to pick the approvers and instead there is a hard-coded logic. Our use of the program facilitated many things and shortened the time and effort. Add to that that it is the greatest to preserve the environment as it saved on the consumption of a lot and a lot of paper and ink and printing thanks to her great .. Through my humble use of the program, I can not judge its disadvantages. Add to this as a beginner in accounting .. I can say one thing I did not like that the application on the mobile does not add the added pictures ..
"Excellent tool, exactly what I was looking for"
This tool provides the right balance of being easy to configure while providing granular controls when setting up logic for a process flow. The fact that it has a mobile app is excellent as many of my users are on the go and need to access workflows remotely. We have implemented this at my organization and it is taking off tremendously in a very short amount of time. Two things, the setup for integrating to AD is very involved they would do well to offer more capabilities through a service like one login that would take care of much of this. The second is that there is no onedrive for business integration. We like many other firms use office 365 and as such use onedrive for business. We would love to incorporate this into our workflow. Mainly digitization of manual paper based business processes. Everything can be done within minutes, new apps creation are easily accessed & report generations are perfect as expected. Have created nearly 12 Apps most of it created within 1 days with setting up all the process flow management. Clarifications are not reflecting in reports, hence some of the reports are misguided due to this. If the same is being recorded in Reports or the Business step changes to clarification member, Then it would be of much easy access. Repairs, Return, Online & store process, supply chain process flows. Packing Material Request & region wise separate process. "Great systems, excellent customer service." I love that there are templates to start from and a straightforward interface. The customer service and follow-ups are excellent; I appreciate that personal touch with the same rep each time, and they are always available when I have questions. We have had a few instances of the mobile app not working properly, which has been difficult to get to the bottom of. Definitely worth it for streamlining processes and communication across departments. Our purchase requests now are automated with a clear flow of communication and tracking. We are also starting to use it for new product rollouts. "Easy to work with, but need more feature to integration with( like sync user, master)"
- Fomular very useful to work with data. Can't sync master data, sometimes error appears unexpected., price little bit hight and increase every year. Learn about the product first, then you can see if it fit with your organization or not. Then contact with them to negotiate the subscription. I have several years works with Kissflow product, we seem a first customer, overall everything good, flexible workflow, easy to customize, integration we deploy several apps like Leave Request, Purchase Request, Personal Development Request. ..
"Powerful app, but needs fine tuning"
Excessive loading times on desktop browser, inhibiting multi-flow and quick changes which are crucial in a busy environment. Mobile app needs improvements in regards to speed, responsiveness, and login management (I randomly get logged out and sometimes a reinstall is required). We have been solving the paper-to-digital problem with Kissflow- removing the communication and procedural barrier to ensuring the next person gets their task and moves on to the next. Regardless, we have realized the necessity of Kissflow is a game changer, and wish we had it years ago. "A workflow app that is quickly implemented"
The ease of set up and the data validation options. The GUI is pleasing and for the most part set up is quite intuitive. The inability to skip sections based on a previous result (if those sections are required fields.) The live data set is accessible but cumbersome. There is no way to connect outside apps to harvest the data live, you would have to export it first, which means it wouldn't me constantly updated. I was unhappy as the pricing increased several times and then the number of flows were set up on a tiered pricing system. They appear to have a large library of templates (apps) now, check those out. As I started when they were still in beta these were not available to me. However, the processes I was automating are highly specific to our company so I don't feel like I missed out on them for my purposes. Do take advantage of their walk through help files, customer support is decent. I used Kissflow as it initially launched for my first workflow solution. It was a pretty good introduction to workflows for my users, and I set up request forms to walk the various key individuals through the processes of setting up new accounts and checking for completeness. It help keep me organized and I don't have to worry about telling people what to do. KissFlow automatically sends an email to my coworker as a reminder. It needs a couple more features that would be useful, like being about to sort by due date when pulling up all the active items. Sometimes is can also be slow on loading certain pages. I recommend this product. It will definitely help with task management and make people accountable for their job tasks. KissFlow has helped keep everyone organized and eliminated a lot of unnecessary paperwork. This program has also allowed us to make people accountable for the job tasks. If someone doesn't complete a certain task, we will know and we can go to them for clarification. "Kissflow helped me in organizing our Company's processes"
I like how easy it is to edit and use. Also, I can extract data instantly which is very helpful in my reports. It is an easy to use program that turns processes digitally. We want our processes to be online to save on paper, time and so that we can track our requests. We have achieved all of these using Kissflow. I like the fact that many of the applications that can serve you are already present and I can release everything in a short time. I like the fact that many of the applications that can serve you are already present and I can release everything in a short time. I do not like the fact that it is difficult to customize. I could not easily insert my pieces of code. I do not like the fact that it is difficult to customize. I could not easily insert my pieces of code. We are solving the passage of information between various components of the company. "The KiSSFLOW group has been great!" The availability of tech support is what makes this company so great in my eyes. They get back to you and schedule a screen share to fix your problem immediately. No waiting for meeting times and no back and forth! Techs are very pleasant and knowledgeable. They not only fix the problem, but make sure you understand it. The product has been a great tool for us in Human Resources. The only issue I have had is some browser settings do not allow for smooth navigation. Support was able to help me with this, though. No more paper forms! No more walking around the company and waiting days even weeks to get approvals. Executives are able to easily approve. "Easy approval workflow in a business enviroment"
What I like best about Kissflow is that it makes it easy for getting approvals done in our finance department. The ease of adding approvers and assigning documents for them to sign. For the most part it is easy to use and saves a lot of time. The lack of searching for a particular item. I have to go through this long process in reports to find the exact documentation. I wish it was as easy as using the search engine. I've also heard complaints of other users under our admin complain about the lack of visibility of in the historical input that they have approved. Also it takes a long time for support to answer back. This is good for small businesses that is looking to automate manual admin work. "Kissflow help me to make my applications more efficiently and fast"
KISSFLOW its very easy to use it, help me to make my process BPM and my apps very easy and functional. i dislike the intermitence when i build my app and have many changes, sometimes if i built it for more than 1hr the app dont take my changes and i have to reset and upload all the fields and sections than i make it. make our process more efficently! My Purchasing area have some problems with the process to lift a purchase order, with kissflow we automatized the process and make the workflow very easy for our business users. With kissflow we automate the lift of data masters products and make our formats more fast and secure. "Kissflow keeps true to their name Keep It Simple "Stupid""
I'm not a programmer yet even I am able to create effective workflow solutions for our two campus school. Nothing really comes to mind. It's a really effective tool. Once you get over the hump of the setup, which their technical staff was amazing at assisting me with, the rest is really a walk in the park. Reports are easy to pull and it's easy to onboard new employees. We use Kissflow for routing purchase orders and field trip requests. "KissFlow is a wonderful yet easy tool that we here at our company." I like the workflow process, they way you can delegate different task to people is pretty cool. Our entire hiring process is a huge success with working wqith KissFow. We have it set up where you can have it going to each department to notify when a new hire is coming aboard. "Great software for our Business Processes"
The power of this software is the flexibility during the costructuion of the Business WorkFlow. In fact you have a lot o different choise about the branches ad action that you can do. Another key point is the possibility to configure different role/profile with different view/action during every step of the process that you are creating. Nothing because the product reached all the key point that we fixed before the purchase. I created a workflow to manage our company's administrative rehabilitation process, from the first contact with the costumer until the flast day of rehabilitation programmed. We reached a lot of benefit because we eliminated the usage of paper during al the process. "I have liked the customization possible using the system formulas "
Its easy to use once you get the hang of it. I like the functionality that formulas give you. We are trying to streamline our internal processes. We want to make sure that everyone involved in any of our processes has visibility on all relevant actions around that process. We want to ensure all the steps in a process are followed without employees taking shortcuts. We want to automate some of the processes. "Easy to use and incredibly customisation"
Online support service is exceptionally quick. Submitted questions will have a reply within 10 minutes. This is very personal as you will be provided with a customer support representative. You can customise almost anything in your workflow, review can be passed between users and managers, most usefully you can also set up departments and sites which allows the business process to easily self manage. Pricing, it would benefit from a more variable pricing structure. If a user has not signed in for a month it would make sense not to charge for them. Much like Slack. Travel risk assessment and authorisation. This now allows managers to sign off travel and risk assessments. "Extremely customisable workflow for your company's needs"
The ability to build a form from scratch, removing all the fields that you don't need and add in the items that you need for your business. I also love the product specialist's response time, and technical knowledge, in addition, they are extremely responsive which is always a plus! Certain aspects of the software that we can't control. For eg. Inability to stop submissions after a certain date, but there are workarounds that work as well. :) Please consult your product specialist for guidance. Most of the Workflow software on the market are for specific processes. If your company is looking for a workflow software that you can implement in basically every part of your company, this is the definitely the one to go for. Best part is, you don't need any prior knowledge in programming, etc to be able to build this form! Streamlined approval processes that saves time prior to reimbursement. KissFlow has made our onboarding and terminations processes so much more efficient. It's really easy to use, intuitive, and helps keep all of our teams in the loop. It helps keep each person involved in the process accountable and ensures that we are getting things done in a timely manner. We love the email reminders - they really help! I also love that you can put comments in when certain functionalities do not apply to all. There are a few circumstantial functionalities that I would change, but for the most part, I do not have any issues with this system. We are working on building more templates and processes in our system to address the issues we have as there are times when not all modules apply to each employee. For example, temps, FTE's and contractors have different requirements. We'd love to use the same form for all of them! I would absolutely recommend KissFlow to HR teams! It really helps streamline the onboarding and terminations processes. We are able to keep all departments and people involved in hiring and terminating employees in the loop and responsible for the different pieces associated with adding or disabling employees in our system. It's amazing how much more efficient we are! "Great tool for piloting ideas and intro to workflow"
"Kissflow an effective deployable tool for Process Automation"
Kissflow as it says Keep it Simple and Smart stands out simple BPM Workflow tool with process mapping and automation for any department work. Highly Effective. Easy to use. Features & Design are developed with lowest possible dependency on IT Team (Easily Deployable). User Training least required(Matter of Few Minutes). Immediate Response from Kissflow IT Team. Kissflow though is user & Admin friendly with high automation & mapping, Certain Requirements cannot be tailored. Had to do workaround. Faced Integration & Migration issues with Renowned Accounting ERPs. Advanced Report Customisation. Process Automation. Approvals & Bringing various stakeholders in one platform. Tracking of progress. Live Basic Reports. Quick to customize & use. "The best workflow automation software available." Kissflow allows for a person with only basic excel knowledge (me!) to effectively build custom workflow software. The interface is intuitive and the customer service help is second to none. For the money, nothing on the market comes close to doing what this software is capable of. In fact, because you are able to build workflows on your own I believe it yields a better final product than if you were to hire one of many other software companies to interpret your requests and translate them into software. Integration with Gmail made going live as simple as emailing our users and telling them to open the app. All they had to do at that point was follow the clear instructions that we were able to write ourselves for every step and question within the workflows. There is nothing of significance that i could characterize as a dislike. The minor discrepancies that come up from time to time are quickly addressed in real-time by chatting directly with the support team. On at least one occasion I asked them to help troubleshoot an error message I was getting. They actually traced it back to an error that I made in a formula. The phrase "above and beyond" does not do the support team justice. If you have someone who understands your workflows and is comfortable using basic excel formulas then do not hesitate. Kissflow is the answer to all your digital workflow needs regardless of the size of your company. Using Kissflow we were able to completely eliminate paper signature approvals for all new-hiring and internal personnel changes for a company with 30+ locations and 700+ employees. Previously our HR department was seeking signatures for personnel approvals from people who often worked in different buildings. We are in the process of building and testing workflows that will digitize travel expense reimbursements and check requests. "Simple, Efficient, and Powerful Workflow Management System"
Though the formulas are powerful and somewhat similar to DAX, it would help if there are more hints within the system to help you navigate whether or not the formula is correct. Sometimes I had to write multiple times to get the right formula that the system accepts, but there is always an amazing tech team from KiSSFlow to assist me. Separately, though I don't particularly dislike it, I do hope the reports can view all Apps as opposed to individually. Minor issue for now. This system is definitely worth it if you are looking for a workflow management system (WMS). It is not quite the perfect system yet but it has most functionality that solves your workflow problems. Some things that I feel that makes it not the perfect system yet are not having a dashboard that I can customize, admin not able to ping users to complete a task, and minor delay/lag in processing. Otherwise, this is the best WMS I found out in the market since you can create and kick off a workflow almost immediately after signing up without much training. On top of that, they got amazing customer service! I began looking for a workflow management system to solve, well, workflow problems. It helps me identify where a workflow breaks down and who may be responsible for it. I also want to rid of the paperwork that "walks off" on its own. This system streamlines the flow and make it more efficient to complete a task. It has been unbelievable what this system has benefited my company only after 2 weeks of implementation. There are no longer people pointing fingers as to who's accountable for the missing paperwork or a process being late. As long as someone initiates a task, I am able to track it through its completion. * We monitor all KiSSFLOW reviews to prevent fraudulent reviews and keep review quality high. We do not post reviews by company employees or direct competitors. Validated reviews require the user to submit a screenshot of the product containing their user ID, in order to verify a user is an actual user of the product. Hi there! Are you looking to implement a solution like KiSSFLOW?